It was created in Lombardy around the 12th century. 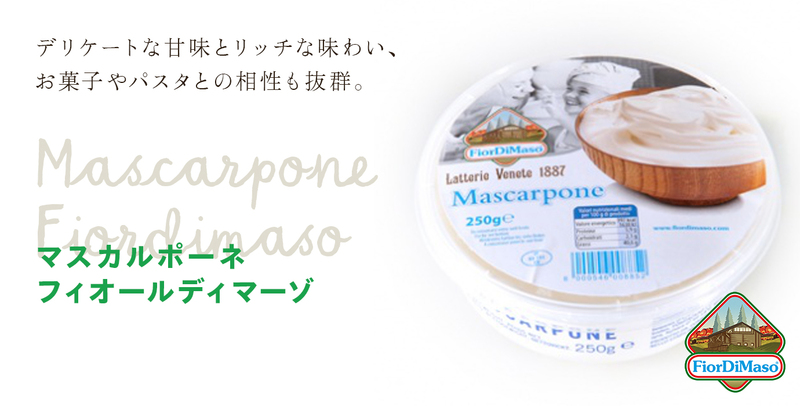 It is said that this cheese name “mascarpone” originally comes from the Lodi dialect “mascherpa”. Its delicate sweetness and fresh taste can be enjoyed together with fresh fruits such as strawberries or mixed with our Ricotta fresca in a mousse. In addition to use it for a typical tiramisu, you can also mix it with our Ricotta cheese for a light mousse. Furthermore, you can enjoy it with tomato sauce in a pasta dish.